PALMVIEW — The city of Peñitas may be able to provide water services to its own residents — or at very least, the Agua Special Utility District is entertaining the idea of selling those rights back to them. 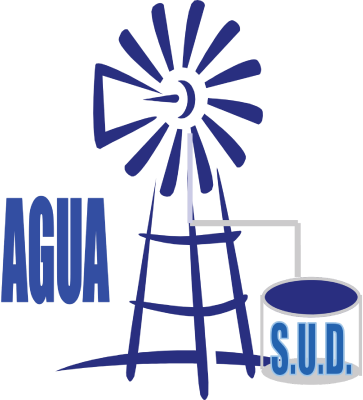 The Agua SUD board of directors on Tuesday approved the creation of a committee to hold those discussions with city officials. Those talks would be on whether to allow the city to purchase the Certificate of Convenience and Necessity, or CCN, back from Agua SUD, which would grant them the right to provide retail water services there. The cost of the CCN is believed to amount to more than $4 million, Romero said citing a study. “There have been some upgrades, improvements done by Agua SUD since (the study) so the cost of acquisition would be more because we have to pay Agua back for the work they’ve done,” he said. The talks would be a continuation from 2014 but it’s unclear what stalled those talks since then. An interlocal agreement to transfer the water rights to Peñitas had previously been signed by Board President Roger Hernandez and the Peñitas mayor, according to state Sen. Juan “Chuy” Hinojosa who, in a letter to Hernandez, questioned why that agreement was not mentioned in Agua SUD’s audit. During the Agua SUD meeting Tuesday, Hernandez stressed that currently, the board was just agreeing to sit down with representatives from the city to resume those conversations. Loyd Loya, who represents the city of Peñitas on the Agua SUD board of directors, moved to appoint himself, Hernandez, and Cesar Rodriguez — the vice president of the board — to the committee.